as it lets us benchmark our rates to competitors’ for our markets." – Anita Stettner, Regional Accounts Manager - Saskatchewan Minerals, Inc.
"Escalation Consultants provide two indispensable things for rail shippers – one is an approach that helps take tension out of the negotiation process and two, a source of workable solutions to help you get the rate you need to expand your business." – Kevin J Gallagher, President, Quality Transportation Services, Inc.
Rail Rate Checker provides a better way to reduce rail expenses and maintain and improve your market share. This is not a casual statement. Our customers recommendations support the value they receive from Rail Rate Checker. Rail Rate Checker is an internet database program that provides the information you need to obtain better rates for your rail movements. Rail Rate Checker determines the routes, miles and railroad options for your movements and then calculates the railroads cost and profit as well as the rate that will keep you competitive in your markets. RRC is a big resource for marketing as it shows the location of your primary competitors in each market and identifies the rate levels you need to improve market share and profitability. Rail Rate Checker Plus (RRC+) will significantly improve productivity in your transportation department. RRC+ allows you to analyze hundreds of movements in seconds with just the click of a button. 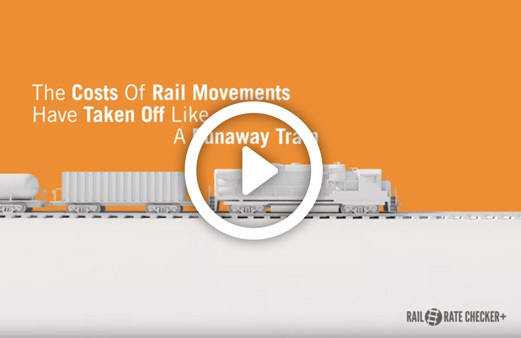 RRC+ virtually eliminates time as a consideration in determining the railroads cost, profit, fuel surcharges and proper rates for your movements. RRC+ expands the power of Rail Rate Checker by summarizing the results of all your movements. It generates reports from the summarized results that demonstrate your biggest problems and best opportunities to cut costs. RRC+ represents a new state of the art because it not only shows what rates are reasonable for your traffic but goes much farther and generates the support you need to get them.